The 150th anniversary of the birth of Frank Lloyd Wright is complicated for people who love architecture and cities. Wright, who was born June 8, 1867, and died in 1959 at 91, was the greatest architect America has ever produced, the creator of the unforgettable Fallingwater in western Pennsylvania and the nautilus-like Solomon R. Guggenheim Museum in New York. But the flip side of Wright’s deep love of the natural world—the inspiration for many of his designs—was a loathing of the urban. “To look at the plan of a great City is to look at something like the cross-section of a fibrous tumor,” he once wrote. Wright was the opposite of a flâneur—a prophet of urban decentralization who was crazy about cars. (He even coined the term “carport.”) “[G]rid-iron congestion is crucifixion,” he proclaimed in his book The Disappearing City. Wright (in)famously concocted a utopian scheme called Broadacre City, a nation-scaled exurb of large homesteads connected by superhighways. Luckily, Wright was as brilliant an architect as he was misguided in his planning principles. 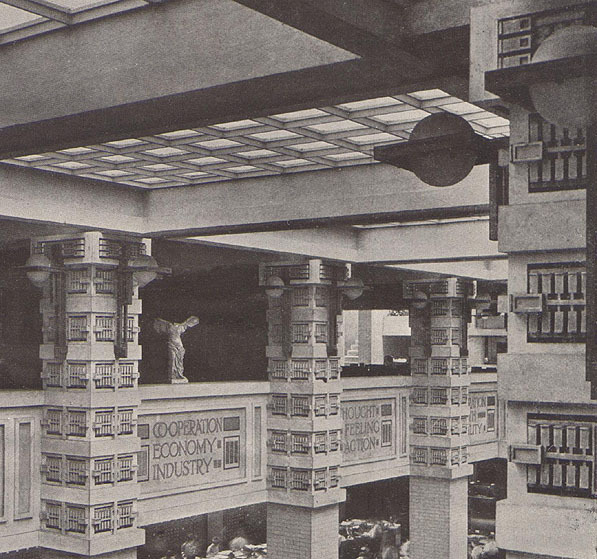 Visiting a Wright building is a powerful experience, given his deft manipulation of space and obsessive harmonizing of architectural elements on every scale. Since many of his hundreds of buildings are private houses in out-of-the-way locations (like Fallingwater), we’ve compiled a guide to the best ones that are 1) open to the public and 2) in urban areas, or close enough to be checked out on an easy day trip. You can even reach many of them by public transportation. Wright, a man of legendary arrogance, would not be impressed. Darwin D. Martin was a very rich man who wanted a very nice house, so he paid his architect friend, Frank Lloyd Wright, to build one for him. Martin, however, became quite poor after the stock market crash of 1929, while Wright found wealth and fame. The architect had borrowed money from Martin; he never paid him back. After his death in 1935, Martin’s family abandoned the home (which his wife had never liked). It was eventually broken up into apartments, a conversion that included significant demolition of the original complex. It then spent a couple of decades as the University of Buffalo’s presidential residence until a nonprofit was formed with the hope of raising enough money to restore the entire complex to its original state. The group has since completed most of its ambitious goals, including a rebuild of the demolished sections and construction of a glass-enclosed “welcome center” by architect Toshiko Mori that humbly plays off of the horizontal forms of Wright’s work. Tours offered six days a week. Of the many demolitions in Buffalo since World War II, few generate anger and regret like that of Wright’s Larkin Administration Building. It was the most modern and perhaps most stunning of new office buildings at the time of its completion, sparing no expense. Located in an industrial area adjacent to downtown, the Larkin Building was the first known office space to have air conditioning (a locally invented technology). Its sophisticated ornament and light-filled, four-story atrium formed an inspiring scene for workers. But the building could not survive without Larkin, whose sales plummeted by the late ‘30s. It went into foreclosure in 1945. After a failed national campaign by the city to find a savior, a trucking company purchased the property and swiftly proceeded to demolish it for surface parking in 1950. The site at 680 Seneca Street remains almost untouched, with one original brick pier and a more recent historical marker for those who care to make the pilgrimage. A nostalgic “phantom pier” was placed on the other end of the property in 2015. In Chicago, you can find prime Wright inside The Rookery, the 1888 Burnham & Root landmark in the financial district; Wright remodeled the lobby in 1907, covering up Root’s elaborate wrought iron details with Carrara marble for a cleaner, brighter look. But Oak Park, a suburb just west of Chicago, is the town that Frank built. It boasts the world’s largest collection of Wright buildings—25 of them, dating from 1889 to 1913. In Oak Park you can see the home and studio where the young architect launched his solo career and installed gas pumps for his beloved cars. This is where Wright designed the Unity Temple, a concrete church that some architects consider the world’s first modern building, and that is just reopening after a $25 million restoration. It’s also where he designed the Robie House, a low-slung, deep-eaved masterpiece of the Prairie Style—located back across the city line, on the campus of the University of Chicago in Hyde Park. Wright’s original plans for the Community Christian Church in Kansas City, Missouri, involved elevating the building on steel pillars to open up the entire lot for parking. Details for the church, which were published in the The Kansas City Star in June 1940, stunned residents and congregation members. For example, it would have no air-conditioning: Wright envisioned a floor-based heating and cooling system. “This is a type of architecture that should be a lesson to this city,” Wright said. Instead, the city pushed back, forcing Wright to abide by city code and park the building on the ground. Wright’s losses were Kansas City’s gains: the revolutionary features he envisioned would be either detrimental or unimportant today. The service-center atrium, the hexagonally shaped balcony above it, and the zig-zagging windows—some of which are stained glass—are elements that shine now. Open Monday through Friday and Sunday mornings. In 1919, an eccentric heiress named Aline Barnsdall hired Wright to design a retreat for actors and artists on a site in East Hollywood, his first commission in L.A. The campus never materialized, due to cost overruns and disputes between Barnsdall and Wright, but the architect managed to complete (with help from his son and his assistant Rudolph Schindler) a house for Barnsdall and her daughter, its decoration themed on Barnsdall’s favorite flower, the Hollyhock. Reminiscent of a Mayan temple, Hollyhock marks the end of Wright’s Prairie period and looks forward to the textile-block houses he went on to build in L.A., and even contains the seeds of California Modernism. Now the centerpiece of the city’s Barnsdall Art Park, the house reopened to the public in 2015 after a painstaking restoration. Taliesin, built into a hillside 40 miles west of Madison, is perhaps better known for the murders that occurred inside it than for its status as a prime example of the Prairie School style. Wright built the house in 1911 for himself and his mistress. In 1914, a disgruntled employee murdered her, her two children, and four workers while Wright was away on business, burning the home in the process. Wright rebuilt it then, and again in 1925 after another fire destroyed the living quarters. Taliesin was Wright’s home base for the rest of his life (alternating after 1937 with a winter residence, Taliesin West), and it’s where he designed Fallingwater. Tours May 1 through October 31. The heart of the S.C. Johnson campus in Racine is the famous Administration Building (pictured above), designed in the late 1930s for Johnson Wax, as the company was then known. 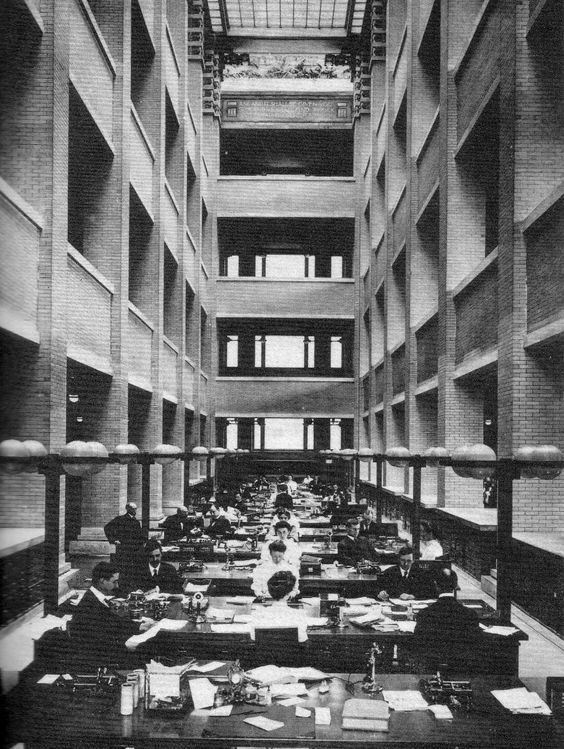 The building was a leap forward for Wright, with its iconic “lily-pad” columns that are not only load-bearing, but double as storm drains, and Pyrex tubes integrated into the envelope of the building to admit daylight. This is the only commercial building by Wright still in use today. The nearby Research Tower (1950) is no longer used, but it demonstrates the cantilever principle, with a central core supporting the weight of its floors—an ingenious engineering concept when Wright proposed it in the 1920s. Tours of the campus take in both structures, as well as the later addition Fortaleza Hall, designed by Sir Norman Foster. The Solomon R. Guggenheim Museum building is so distinctive, it shapes whole shows. Tino Seghal’s This Progress (2006) was an architecture lover’s dream: For the 2010 exhibit of this performance, the artist stripped every artwork out of the museum rotunda, staging person-to-person interactions around the building’s ramp. Aten Reign (2013) by James Turrell transformed the rotunda into a kind of cosmic hive, marking one of the first viral art sensations of the Instagram era. It was hardly the first time the Gugg turned the culture inside out. In 1960, the year after the museum opened, Sally Victor, a prominent milliner who designed headwear for Jackie O., designed a hat inspired by and shaped after the Guggenheim. It’s now a part of the collection of the Metropolitan Museum of Art. Few buildings can be said to inspire such loyalty from artists—or New Yorkers—as this one. Tucked into a suburb just north of Philadelphia, Beth Sholom is the only synagogue designed by Wright, who called it a “luminous Mount Sinai.” Its tented fiberglass roof admits natural light during the day and glows, illuminated from within, at night. The building’s basic form was suggested by Rabbi Mortimer Cohen, who asked Wright to design a temple for his congregation in 1953 and collaborated with him during the project. The 1,000-seat synagogue is still an active house of worship and recently underwent a renovation to make it more accessible. In his late 60s, Wright took his doctor’s advice to escape Wisconsin’s long, cold winters. With his wife and apprentices, he found a plot of land in the foothills of the McDowell Mountains, miles from anything at the time, but perched over the wide valley that holds the Phoenix area. Here they built Taliesin West to serve as Wright’s winter home, studio, and architecture school. Better known to CityLab readers as a hotbed of NIMBYism, tony Marin County, across the Golden Gate Bridge from San Francisco, has a jaw-dropping, late-career Wright, spanning a ravine and a valley in county seat San Rafael. Two impossibly long, blue-roofed wings converge in a dome and are punctuated by a golden spire, making this local government complex—which houses a court, a library, and other functions—look like something from another planet. In fact, George Lucas was inspired by the Civic Center when he designed the Star Wars planet Naboo, and parts of Gattaca were filmed here. Docent-led tours every Wednesday at 10:30 AM; self-guided tours during business hours. Although Bartlesville (population 37,000) is not exactly a metropolis, it’s within striking range of Tulsa and is home to one of Wright’s most distinctive late works, the Price Tower, the only one of his skyscraper designs that was fully realized. The 19-story tower, made of concrete and copper, was built for pipeline-construction titan H.C. Price and is now the Price Tower Arts Center. In addition to giving tours (featuring circa-1956 office interiors on floors 17 through 19), the Arts Center runs an inn in the tower, with rooms by contemporary New York architect Wendy Evans Joseph, and a restaurant and bar on the 15th floor. Tours daily from Tuesday through Sunday. Into a mere 1,200 square feet, Wright was able to fit two bedrooms, one bathroom, a den, a kitchen, hidden storage space, and a dining and living area that feels much larger than it is, thanks to an 11-foot ceiling. Moved from its original location in nearby Falls Church, Virginia, the house now sits on the estate of the Federal mansion Woodlawn, operated by the National Trust for Historic Preservation. Open April through December, Friday through Monday.